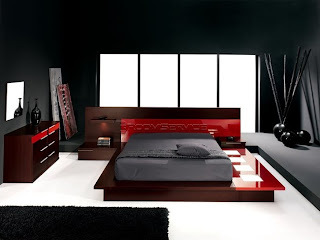 Imported from Spain, this exclusive walk on platform bedroom set in wenge finish and red glossy lacquer accents. Award-winning innovative design with walk-on platform illuminated from underneath. This unique modern platform bedroom set is also available with storage underneath the bed. Imported from Spain, this exclusive modern bedroom set is done in a wenge or light oak finish and glossy red, light grey, light coffeee, white or ebony lacquer accents. 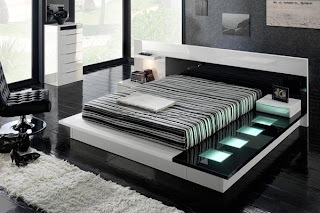 Innovative contemporary design features a floating bed. A symbol of modern design and superior craftsmanship of luxurious bedroom furniture is the Tokyo 706 Modern Bedroom Set. Made in Spain, Tokyo 706 Designer Bedroom Set was inspired by the aerial view of modern skyscrapers. Pushing the traditional notion of design to its limits, the Tokyo 710 Walk-on Platform Modern Bedroom Set is a clear example of the infinite imagination and innovation in furniture design. Allow yourself the luxury to stand out and make a statement. Diamond by Rossetto is a collection expressing a great desire to be modern and striking using its daring elegance and suggestive glamour. 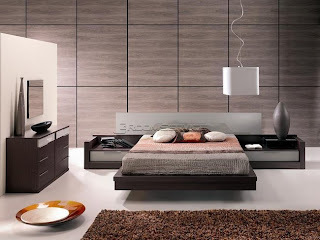 Gap Modern Bedroom Set by Rossetto is elegant, streamlined and exclusive offering a combination of materials, perfectly contrasting to create a striking, one of a kind modern interior.